WELCOME TO THE HOME OF THE NORTH WEBSTER LIONS CLUB. 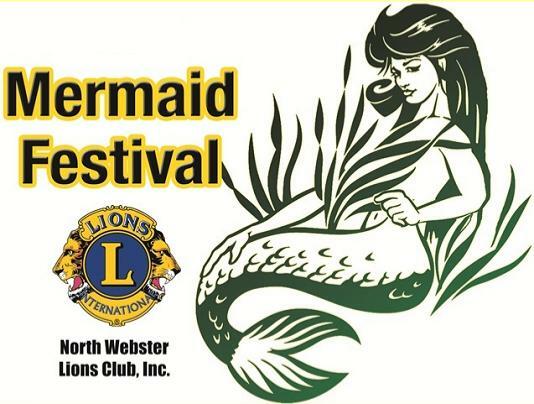 THE NORTH WEBSTER LIONS CLUB IS A SERVICE ORGANIZATION WITH A MISSION TO HELPING OUR LOCAL COMMUNITY. TO LEARN MORE ABOUT US, CLICK ON THE LINK ON THE SIDE BAR. THIS SITE IS ALSO THE HOME FOR THE MERMAID FESTIVAL. CLICK ON THE MERMAID FESTIVAL LINK IN THE SIDE BAR TO GO THE MERMAID FESTIVAL PAGES. WE ARE BEGINNING OUR PLANNING FOR THE 74TH MERMAID FESTIVAL. THE NORTH WEBSTER LIONS CLUB MEETS THE 2ND AND 4TH THURSDAY OF EACH MONTH IN THE NORTHEAST CORNER ROOM OF THE TIPPECANOE TOWNSHIP COMMUNITY BUILDING AT 7:00 PM.